Saturday- 11-4 is test and tune Open TEST & TUNE 11-4 Williamsport Circuit Day / Evening is. 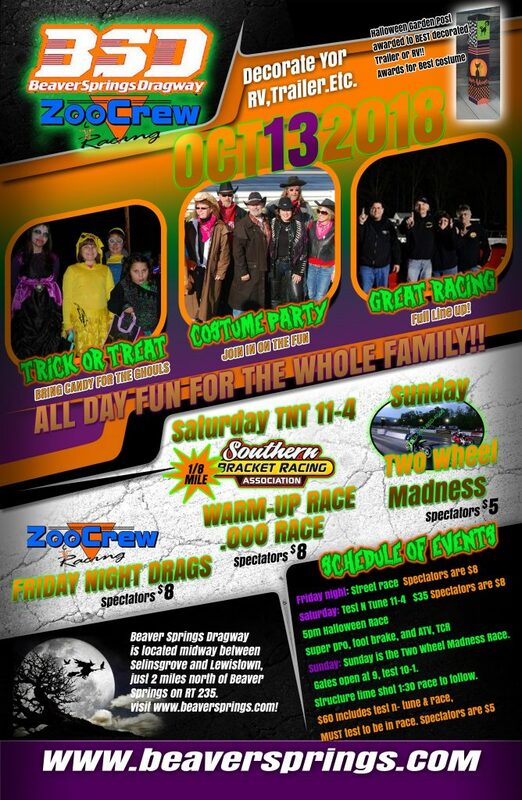 then Halloween race. We will start TIME SHOTS 530 We have super pro, foot brake, and ATV, TCR. it’s an 1/8 mile race and warm up race for SBRA finals at Mason Dixon next week 17th-21st.